SP Equestrian Surfaces offer uplift and delivery throughout Scotland on all the equestrian arena products we hold in stock. When constructing an all weather menage or arena there are many different key factors to consider. Drainage : The drainage element is the most crucial part of any riding arena construction. There is no point having a expensive surface if corners have been cut with the drainage. A waterlogged surface will be is liable to freezing during the winter and unusable after a heavy downpour . If you are unsure which products best suit your requirements please contact us. Sub-base: This layer provides the foundation of the arena as well as being an important component of the drainage system. SP Equestrian Surfaces supply a 75-40mm washed, angular aggregate. The material has a high PSV (strength) grading to allow the material to lock and compact, this creates a base with integral strength that drains freely. Surface: The surface chosen usually comes down to what the arena will be mainly used for, how much time the owner has to maintain the surface and budget. Below are the surfaces that we can provide , however if you are unsure which products best suit your requirements please contact us. High-grade, sub-angular grained silica sand for indoor and outdoor use. Ideal as a base for rubber or mixed with fiber or Combi-ride. 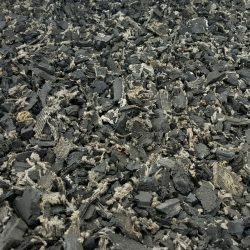 0-20 mm recycled rubber chips which can be used as a surface topper or mixed with sand. The only all weather surface as it does not freeze. We supply material that is 98% wire free. combined with sand to provide a root system for the surface and help to prevent freezing. Also helps to retain water. a combination of nylon based polymer fibers and fine rubber crumb. When combined with Silica sand it creates a consistent, supportive high performance surface.